The LOUD legacy of promotional, entertainment and publicity success goes back over 25 years. It began in New Orleans, with the world famous Court of Two Sisters Restaurant, Bart's of the Lakefront, Pat O's. Chris Owens 500 Night Club and The Hotel Monteleon. For celebrities these were "the" places to be seen in New Orleans. For more than 25 years, the clientele read like a celebrity who's who list. From Dean Martin to local celebrities like Erma Thomas, Pete Fountain and Archie Manning. TODAY LOUD Media Celebrities List Includes: Chazz Palminteri, Dr. Bon Blossman, Jamie Foxx, Adam Sandler, Chris Rock, Marc Colombo, Amanda Harris, Mayra Leal, Jeremy Piven, Drew Pearson Dallas Cowboys, Hall of Famer Michael Irvin Dallas Cowboys, Tony Romo Dallas Cowboys, Bradie James Dallas Cowboys, Paul Salfen, Vince Neil of Motley Crue, Vanilla ICE, Wayne Toups, Juan Gotti, SPM, Drew Brees New Orleans Saints, Andy Mayer, and many other celebrities. The LOUD Corporation (TLC) is a full-service promotional, entertainment event and publicity agency that has represented a wide variety of restaurants, hotels, auto dealerships, celebrities, and athletes. For the last 25 years, LOUD has paved its way into several facets of many businesses, making the LOUD Team an invaluable commodity in any setting. With services ranging from web design to brand development to television and red carpet event production, there is no company that works harder when it comes to out-of-the-box ideas for its clients via ROCK IN YOUR BRAND. LOUD's major accomplishment is Sports Plus. Created by The LOUD Entertainment Group, the sports and entertainment TV show can be seen in major cities during football season, gaining popularity quickly ever since its start in 2011 with the Dallas Cowboys Legend Drew Pearson. The company is also the creator and producer of Rockin The Red Carpet Tours that was hosted by Vince Neil of Motley Crue several times. Also to their credit is WAR of ROCK (American Idol for Hard Rock) with Mark Slaughter and Dana Strum of the Multi-Platinum Rock Band SLAUGHTER. The company has recently formed a new label division LOUD Spirit Records for rock music with major distribution and promotion. 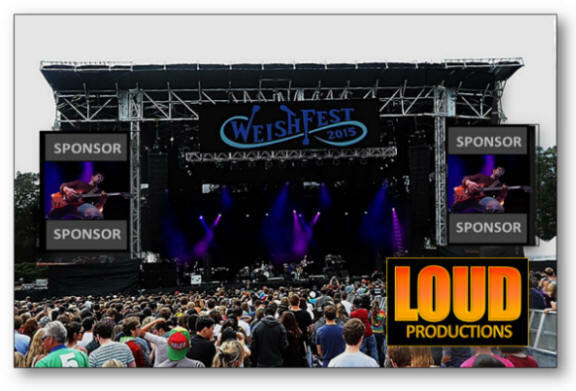 November 2014 LOUD Entertainment entered into an agreement to Executive Produce WeishFest LIVE streaming and edited for TV Special. Hosted by Dennis Mckinnon (Chicago Bears) from their Sports Plus Franchise. The show will feature Eddie Money, Warrant and many others while Dennis and Co-Host introduce sponsors and bring awareness to The Andrew Weishar Foundation in a Jerry Lewis type telethon. The LOUD Entertainment Core Team is from New Orleans, LA, and led by Tom Stokes ( CEO/Founder) Tom grew up at Waldo Burton Boys Home in New Orleans, LA. He now lives in Dallas, TX area where the LOUD studios are located. In the works are two feature films one about a famous Rock Star from the 70’s the other about Tom’s younger life working with Gov. Edwin W. Edwards. Tom has four children and one grandchild. His oldest daughter, Victoria Stokes, attends LSU Medical.